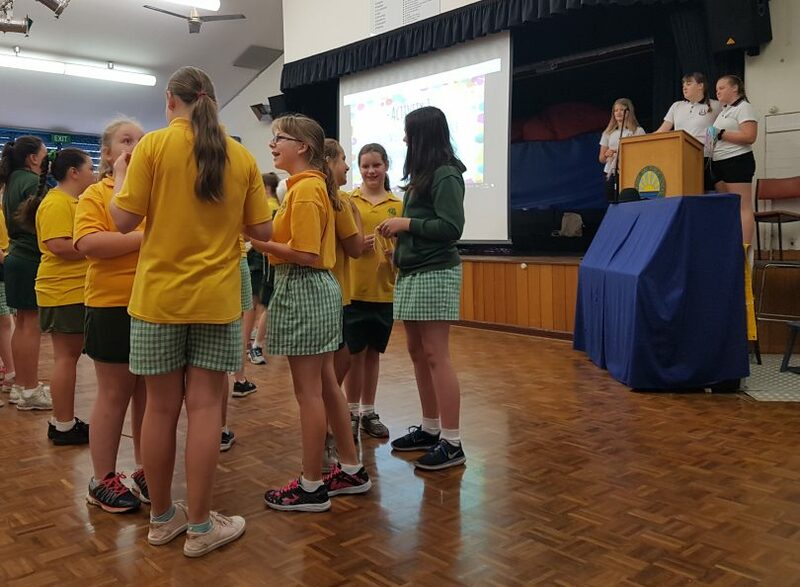 Batemans Bay students in the Youth Frontiers program implemented an anti-bullying workshop at Sunshine Bay Primary school to help reduce anxiety and provide strategies for students transitioning from year 6 to year 7. Photos: Supplied. A government-run program, Youth Frontiers, delivered by the Young Women’s Christian Association [YWCA], has found a home on the Far South Coast after widespread success across northern and southern NSW and as close as Batemans Bay. Program coordinator Jodie Stewart says that her initial foray into local high schools has been met with enthusiasm by the program’s target audience – 12 to 16-year-olds who will meet with their mentors for two hours a week on school grounds, during schools hours to devise and execute a community project or activity to be completed over six months. Students are asked to think about their community and how they can help their community as a starting point for what Jodie hopes will be a lifetime of belonging and an identity as a productive and engaged member of their community. 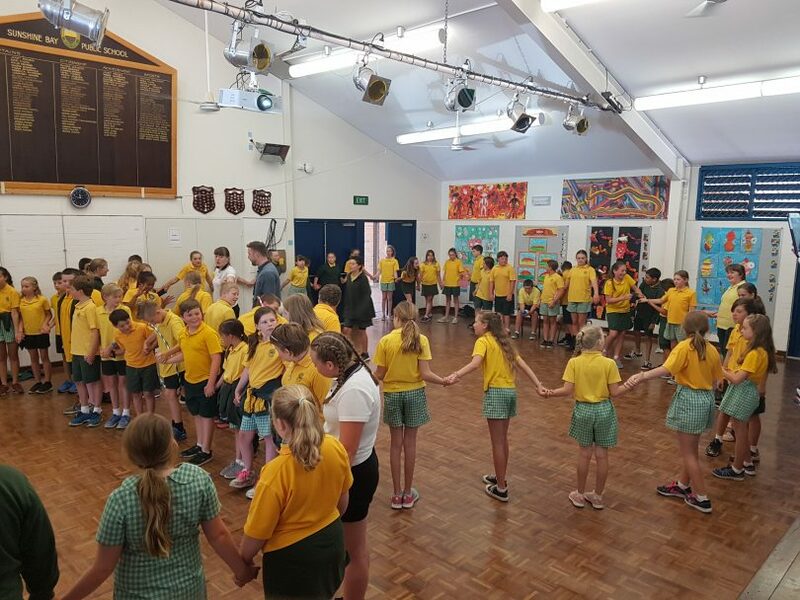 Examples of community projects undertaken by Youth Frontiers students include anti-bullying campaigns like this one pictured in Bateman’s Bay, art installations and fundraisers for communities in need of sporting equipment. “The kids seem very keen, so now we are looking to match each group of students with mentors,” says Jodie. Mentors can be any adult from 18-108 and do not need to have any particular skills. A passion for working with young people is the main criteria, as well as availability for two hours every week for the six month period. A current national criminal history check and working with children check are required and are arranged by the YWCA at no cost to the mentor. Mentors will also have an informal interview with Jodie. “Research has shown that between 12-16 is a vital stage of development – it’s when children are turning into adults and taking part in this program will help build a sense of community connection, belonging and an identity as a productive and engaged citizen,” Jodie explains. 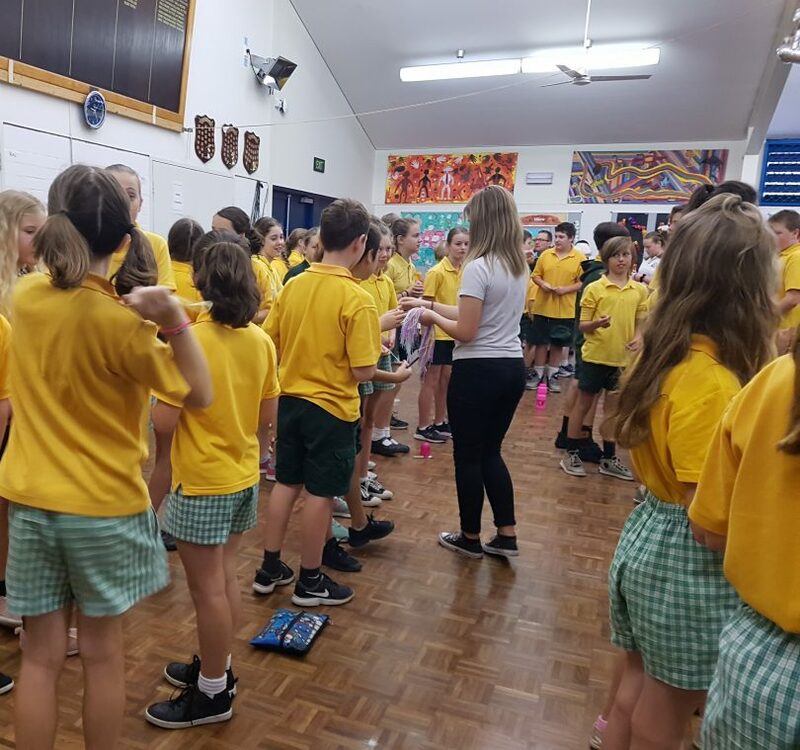 Melissa Christian, the Youth Frontiers coordinator in Batemans Bay, says that High school students devised the activities and role plays which year 6 students from Sunshine Bay primary school participated in. The projects can be anything that the students dream up, as long as it meets timeline and funding restrictions. Examples from other areas include anti-bullying campaigns like the one in Bateman’s Bay and street art installations. In the brainstorming stage, students will have what Jodie calls a ‘pitch-it’ session with community leaders and when the project is complete, students and mentors will unveil their work at a grand showcasing event. Good times and opportunities knock for Eden youth this Thursday!